Tassie fowler wrote: Awesome stuff, looks in good condition. Interesting cab too. Seems to run great. Has the same blade set up as ours. Is that another fuel tank behind the seat someone has added? They were originally under the gearbox. I think the challenger 33 had rear fuel tank. That appears to be the Meadows engine version of the "3" and the blade is by Moore Road Machinery. The tank looks as if it may have been borrowed from an old Caterpillar. The tank was behind the seat on the 33, pic. below of the "33" I restored. How is life going in Tasmania? We are up in the New England high country, similar to Tassy. Yes that is a fuel tank under and behind the seat. It has Fowler markings on it. The original tank is still there and being used. The canopy was added at a later date as it does not have any army green color under the yellow paint. The rest of the dozer and the extra fuel tank do have the army green paint under the yellow. The dozer is just coming up to 2000 hours on the clock. How did you go with your replacement chains? Were they the older D7 chains? Good luck Joe. How is life in England? No it is not the Meadows it is the Leyland. The fuel tank has actually got Fowler markings on it, or what I think are Fowler markings an F circled by a C. Have you seen anything like that before? I will post a picture of it later when I get a chance. Good job on your restoration. I hope when the Ashes this year. That is the remnants of a typical Malcolm Moore DDPCU (Double Drum Power Control Unit). Brake bands and control levers (and maybe a few other parts) are missing. The drums should turn when clutch is engaged, if not turning then I would suspect the quill shaft that connects the top gearbox shaft to PCU is missing. Tractor has had a fuel tank (and seat??) 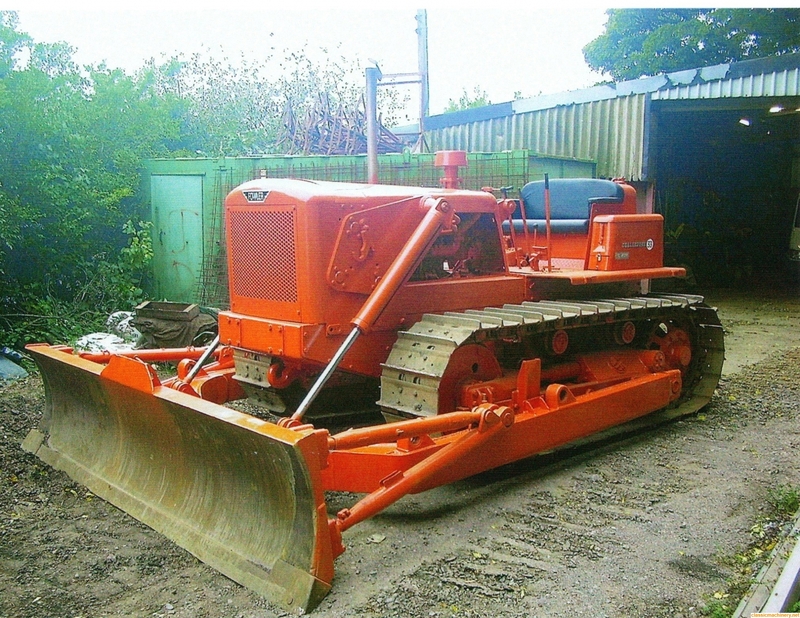 of a D6/7 fitted ……….. original tank was under floorplates.